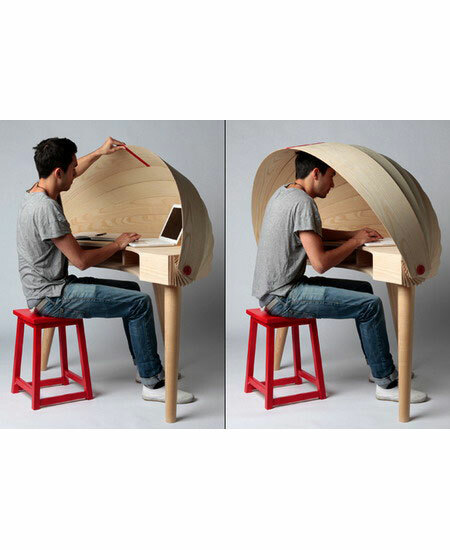 Will you choose this office table when you are in a crowded office? It’s a office table with a cover. People can think calmly in the small space. Also people could take down this cover to enlarge their space which can be according to people’s favor.